New CCTV footage has been released showing the shocking moment a stolen car rammed into a high street clothing store, following a high-speed police chase. 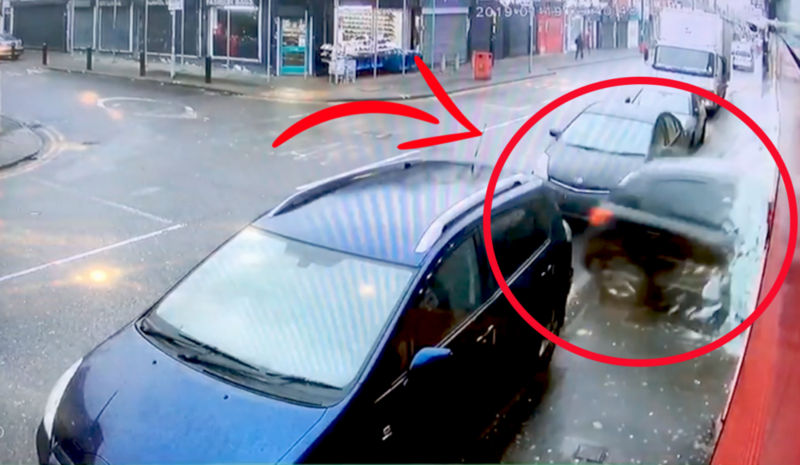 The car was pursued by a police vehicle when it crashed into a women’s clothing store on Saturday morning in Saltley, and new footage captures the driver and passenger dash out of the escaped car on foot following the collision. A new video from a nearby CCTV camera shows the moment a reportedly stolen Peugeot 207, driving at high speed, crashes into the front window of H&Y fashion shop on Alum Rock Road. A few seconds after, the driver and passenger can be seen running away from the scene as the police vehicle chasing them comes into view. Alum Rock Road was temporarily closed off by the police as the scene of the crash was cleared and made safe again. The broken glass from the shop window was scattered all over the pavement and across the road. “Officers on patrol in Birmingham spotted a Peugeot being driven erratically. The car failed to stop for police and continued driving. They confirmed that two men aged 20 and 30 were apprehended in connection with this incident and are currently in police custody. They were arrested on suspicion of theft of a motor vehicle, dangerous driving and failing to stop. The 30-yer-old was also arrested on suspicion of a Class A drug.